Passbook accounts are generally safer than ATM accounts for long-term storage of savings. Whether you just started your first job or have been a career woman for some time now, this guide on passbook accounts for the first-time saver will tell you everything you need to know before applying. The two types of savings accounts are passbook and ATM. Though both accounts earn interest, the main difference between the two is that an ATM account is typically used for spending while a passbook account is for savings. ATM accounts come with an ATM or debit card, which makes it easier to access funds. Passbook accounts come with a bank-issued notebook called a passbook where your transactions and current account balance are recorded. Given this setup, passbook accounts are generally safer than ATM accounts for long-term storage of savings. Applying for a passbook savings account is pretty straightforward: Bring the required documents and initial deposit. Most banks only require one government-issued I.D. (with photo) and minimum deposit. Other banks may have additional requirements. 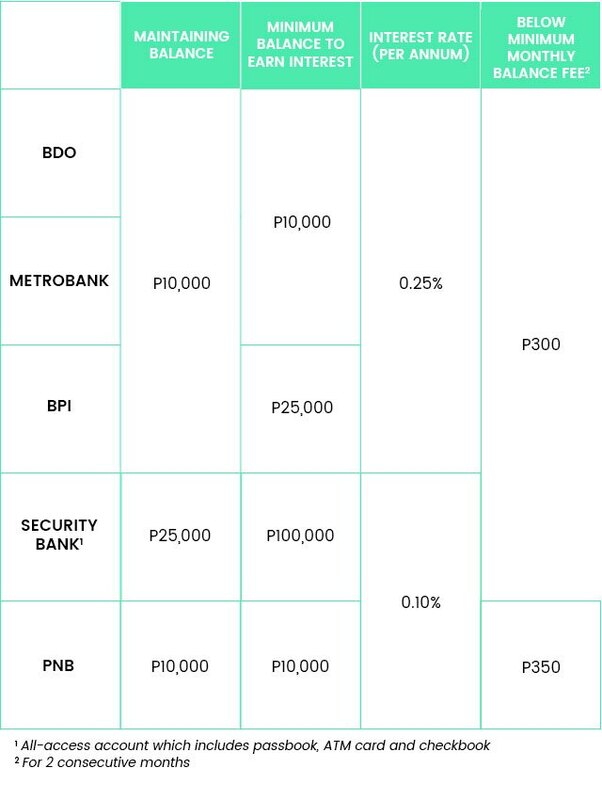 For the minimum initial deposit, it ranges between P5,000 to P10,000. 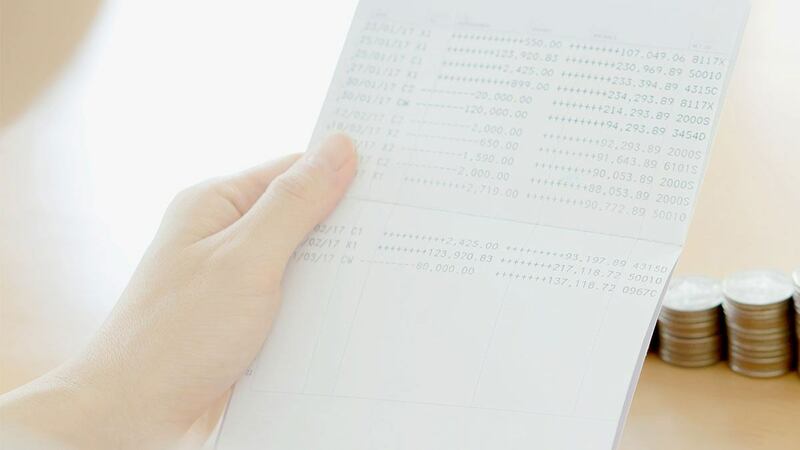 This is the minimum balance you must retain in your passbook savings account in order to avoid paying a penalty called the “below minimum monthly balance fee.” Basically, it’s the smallest amount for the bank to be willing to maintain an account for you. This is the amount you must have in your account to be able to earn interest income. It can be the same or higher than the maintaining balance depending on bank policy. Quoted on a per annum or annual basis, this is the income you receive as compensation for storing your savings in a bank account. The interest rates of savings accounts are low because the bank is keeping your money safe for you. This is known as the risk reward tradeoff. For low risk, you get low returns. Banks and other financial institutions offer other instruments which provide higher income but at a higher risk of loss. Low interest rates and high inflation rates (decrease in the value of cash) are the main reasons why people invest in the stock market and other income-generating assets. The penalty you must pay if your account balance goes below the required maintaining balance of the bank. You are usually given leeway since you are only charged this fee if your account balance is below the minimum amount for two consecutive months. 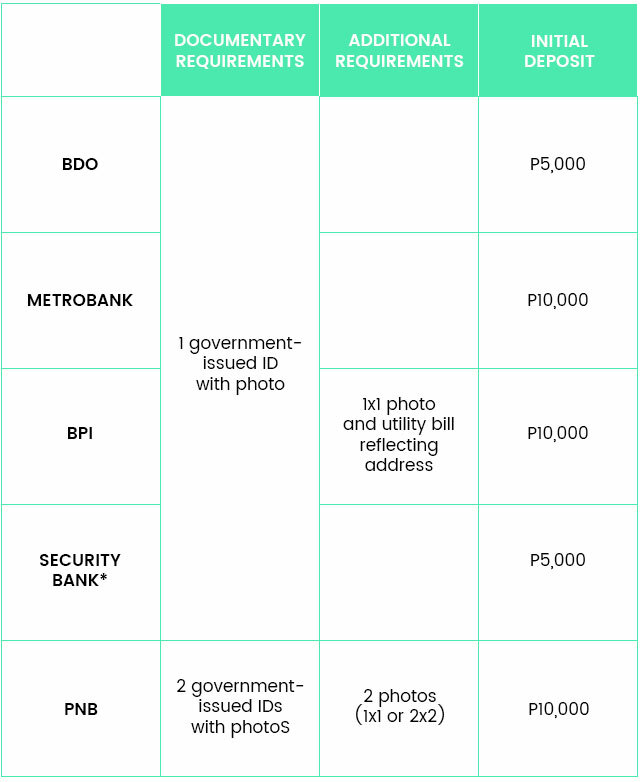 In the event that you lose your passbook, the fee ranges from P100 to P200. You can opt to enroll your passbook account for online banking or the bank app in order to be able to review your account balance, transactions and make online payments. As with any decision, opening a passbook account has its pros and cons. Depending on your needs and lifestyle, check first whether a passbook account is right for you. A passbook account’s main purpose is the safe storage of your hard-earned savings. The passbook ensures a paper trail of all transactions as proof of your current balance–any errors are then easily corrected. Compared to ATM accounts, your savings are not exposed to certain risks like debit card fraud and ATM machine skimming. Passbook accountholders only need to bring their passbook when they visit the bank and the teller will update the account balance for them. Banks offer special passbook accounts for minors to encourage saving at a young age. Traditionally, if a passbook accountholder wanted to check their balance or make a transaction, they’d have to visit the bank. They’d have to ask the teller to update the balance in the passbook or fill up a deposit or a withdrawal slip. Nowadays, as long as you enroll in online banking, you can check your account balance and make online payments to selected retailers. However, an ATM cardholder still has more access to funds through their debit card and ATM machines. As with all savings accounts, passbook accounts earn very little income. You are essentially paying the bank for keeping your money safe. Try to strike a balance between security and opportunity cost by investing in higher return products.